The awesome Frankel stretched his perfect record to 13 when treating his legion of supporters to another breathtaking performance in the Juddmonte International Stakes at York. The world's best racehorse took the step up from a mile to 10 and a half furlongs in his stride as he justified highly-restrictive odds of 1-10 without being asked a serious question. Leading two furlongs out in the hands of Tom Queally, the Sir Henry Cecil-trained colt pulled away to score with consummate ease to lift this Group One prize, sponsored by his owner Khalid Abdullah. Farhh pipped St Nicholas Abbey for second, seven lengths behind the brilliant winner. Queally said: "I suspected they'd go a good gallop, but we had our plan in place. It panned out nicely - it's a fantastic training performance. I gave them enough of a lead for the pace we were going and he won ever so well. He's certainly as good (over a mile and a quarter as a mile). "Every man and his dog seemed to want to put their penny's worth in to say where he should run, but to run him in the owner's race and for him to make it 13 out of 13 speaks for itself. I'm delighted to be a part of it." Teddy Grimthorpe, racing manager for Prince Abdullah, said: "For Henry and the team to bring Frankel in such great shape to York, in front of a brilliant crowd who appreciated him, is absolutely fantastic. Then for the horse to perform like he did, it's a dream, isn't it? "The way he just comes there and does it is simply wonderful. It's hard to believe and I've never seen anything like it." Although it had been widely considered his final start would be on Champions Day at Ascot on October 20, connections have not entirely shut the door on a mouthwatering trip to Longchamp for the Prix de l'Arc de Triomphe. Grimthorpe said: "Henry didn't want him in the race and he'd have to supplemented. There will be a discussion and we'll have to see. 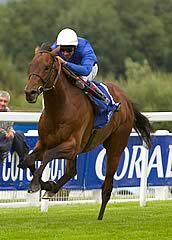 The plan was always Ascot (Champion Stakes or QEII) but we'll have to see how he comes out of race." Of a possible tilt at the Arc, Prince Abdullah added: "I will discuss things with Henry and it depends on what he wants to do. I didn't think a mile and a quarter was a problem, but further than that, I'm not sure." 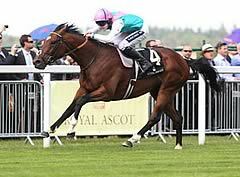 Frankel's York heroics witnessed an emotional return to the track for Sir Henry Cecil. The ever-popular trainer has been receiving ongoing treatment for cancer and has not wanted to pick up other infections, but made the trip to the Knavesmire to see his superstar make it 13 wins from as many starts in the Juddmonte International. Cecil said: "That was great, wasn't it? It's fantastic. It's great for Yorkshire, they are very supportive of racing and they deserve to see him." Asked how it made him feel, the trainer said: "Twenty years better." Farhh ran on valiantly for second, and trainer Saeed bin Suroor accepted Frankel was "in a different class", saying: "My horse has tried very hard, but he has finished second again. As we knew before, the winner is in a different class to everything else. "We have no plans for him, but we will try to find a race without Frankel." 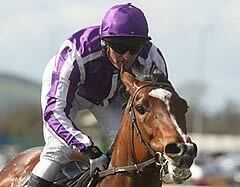 Aidan O'Brien was similarly pleased with third home St Nicholas Abbey. He said: "The winner is an incredible horse and we're delighted with our fellow."